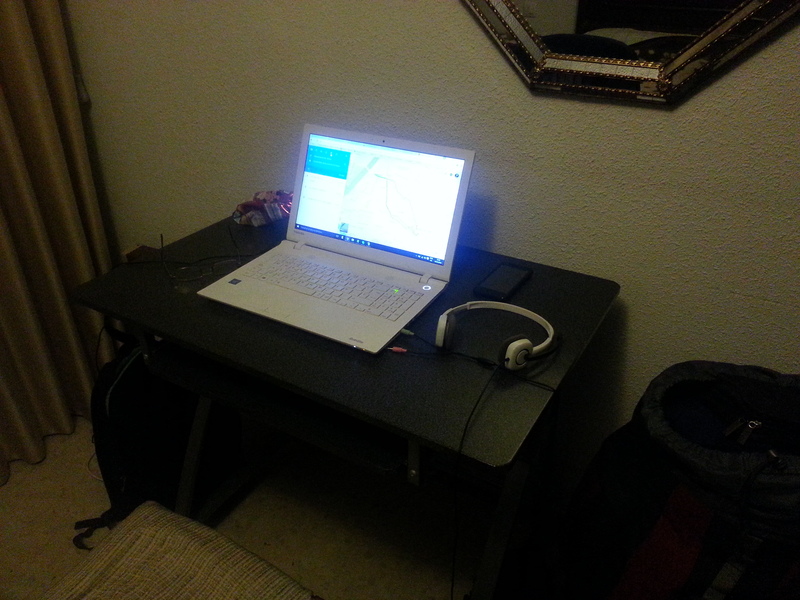 Last year I wrote a blog post about the desks I left behind me in 2015. I’m doing the same this year. This blog is the closest thing I have to a diary and writing a post like this helps me remember what a lot of things I have crammed into the year. 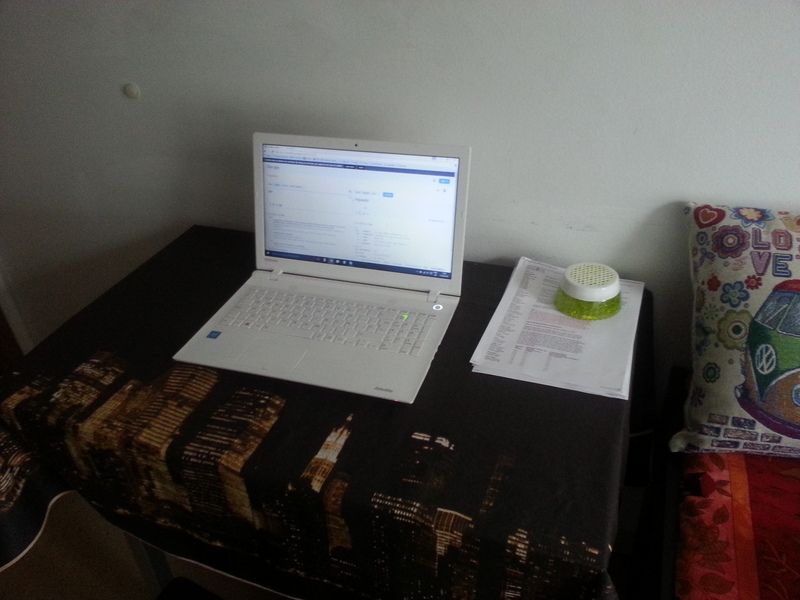 My last desk of 2015 was also my first desk of 2016 because I was still living in Valencia. 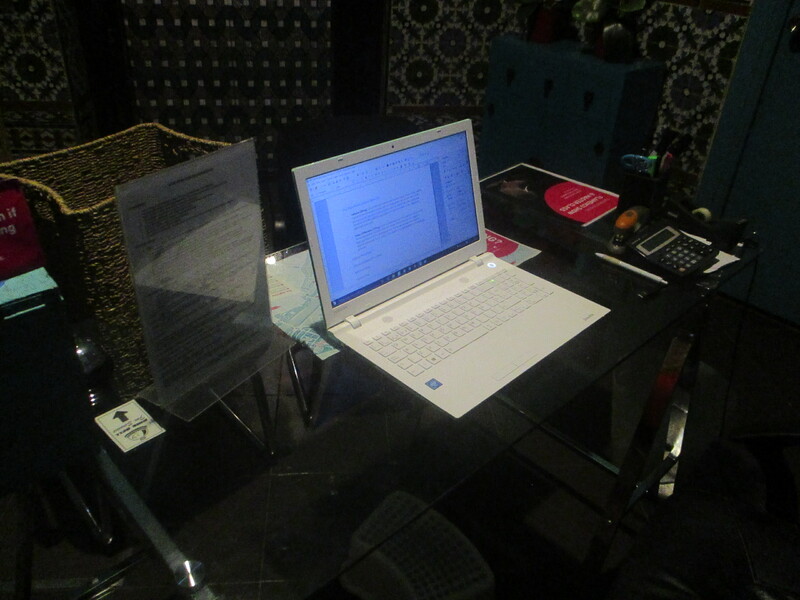 “Desk” is perhaps a little too grand a word, because it was actually a patio table, but it was fit for purpose and I wrote a lot of articles and reviews while sitting there. Valencia was the town where my computer died. I spilt water on it. It did not respond well to this unfortunate turn of events, so I had to buy a new one. Unfortunately, I had some problems with it when I moved to Seville. So I bought another new laptop. Then I got the first one working again and ended up with two. Although I am a minimalist, my computer is so important to me it is great to have a spare, so I still have both of them. When I went to live in Seville I decided to do things differently. Instead of renting a room via AirBnB, I worked in a hostel in exchange for free accommodation. Kitsch Hostel Art is right in the centre of the city and is easily one of the coolest places I have ever been in my life. I worked six nights each week. It was pretty easy. My job was to check-in any late arrivals and turn away people who arrived without a booking or turned up before their official check-in time. I was also the guy who sorted out any problems and kept any unruly guests in check. I was told I could go to bed if I wanted to and only needed to get up if people arrived at the door. I never took advantage of this offer because I had access to the desk for 10 hours per night and it was the perfect place to write. During the day, I occasionally wrote from the tables in the kitchen or up on the roof. And once, when I had to move out of the dormitory to make room for a large group of people, I was given a private room instead. I could see the cathedral from my window, and I had a nice little table to work from. 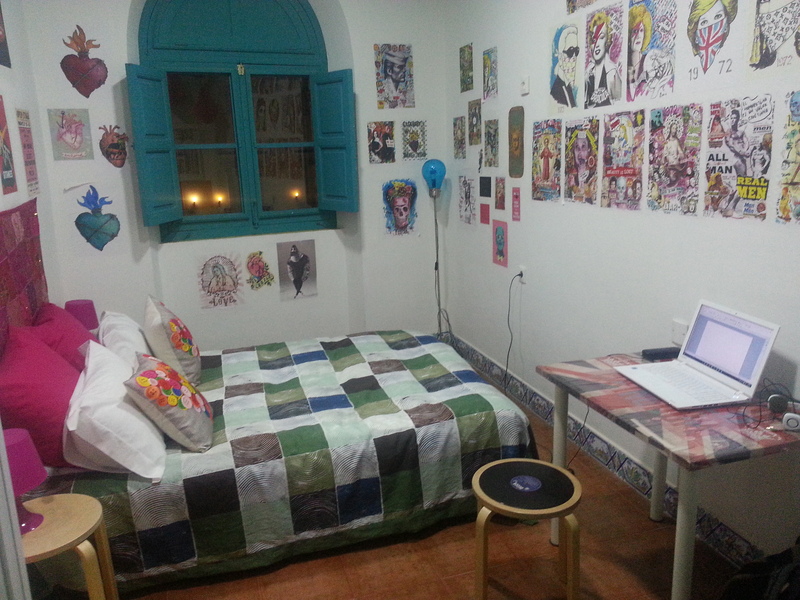 Like everything else in the hostel, my room was colourful to say the least. 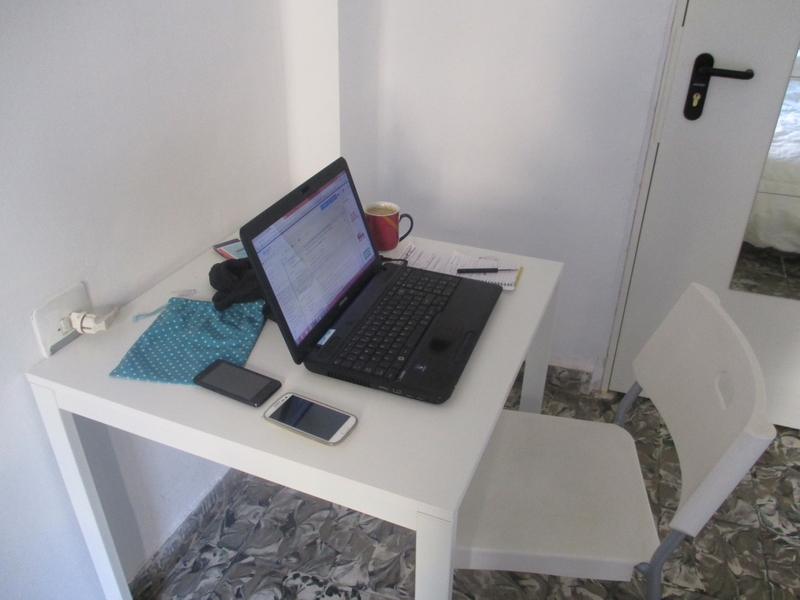 I spent my final week in Seville in a rented room in another part of the city (Macarena) and it had a reasonably sizable desk. On March 17th, I took the train from Seville to Barcelona. It was a pretty long day. 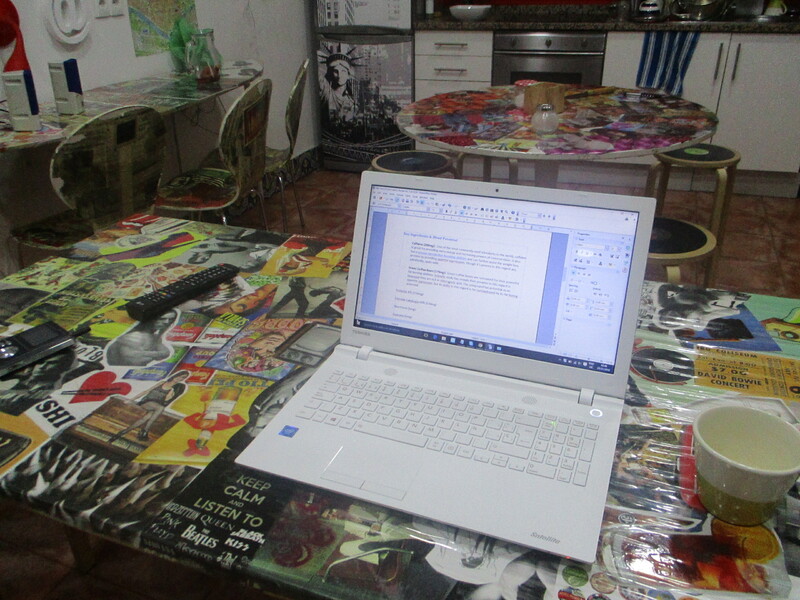 I had a lot of writing to do while I was living in Barcelona, so I never got to see as much of the city as I would have liked, but I had a nice table to work from and I got a lot done. 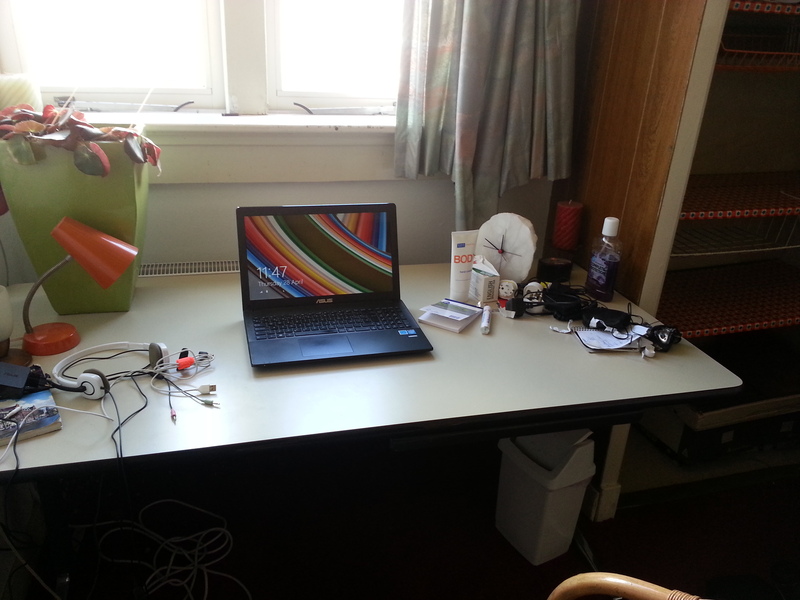 I left Barcelona on March 24th, but I didn’t arrive in Enschede until a couple of days later. I travelled from Barcelona to Amsterdam by bus. It was a long journey and I didn’t arrive at Amsterdam Sloterdijk until quite late the following evening. I didn’t want to carry on to Enschede, and couldn’t find a room to rent in Amsterdam, so I took the train to Utrecht and rented a room there instead. I completed my journey the following afternoon. I’d arranged to go and live with an actress who needed some work doing on her home. She fed me and I got to live rent free, but I was spending 25 hours per week doing my chores and had articles I needed to write as well. I was pretty busy, but I had a good desk to work from, so all was well and good. 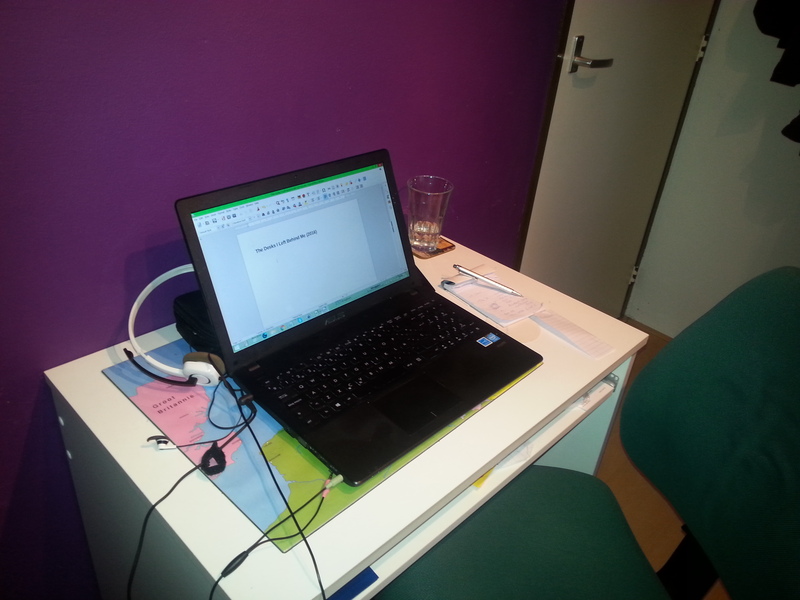 I am presently living in a city in North Brabant and have a computer desk to work from in my room. 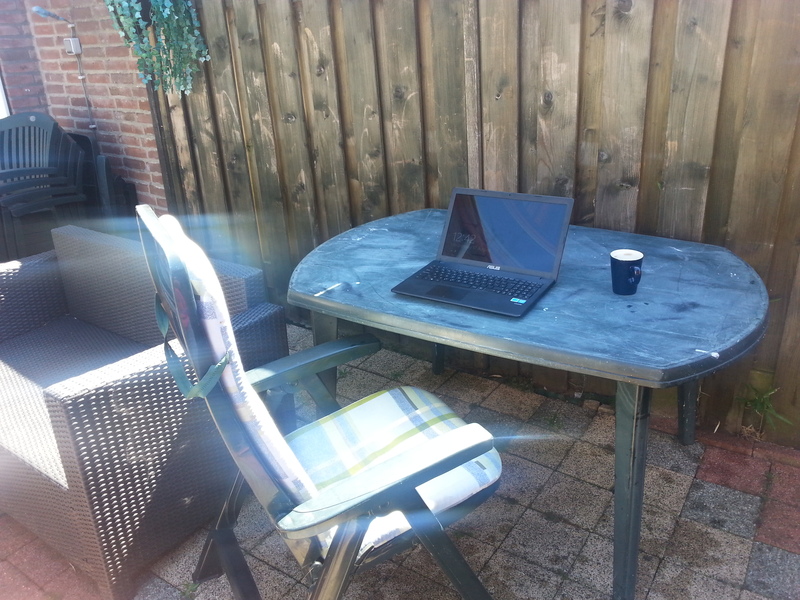 During the Summer, when the weather was warmer, I sometimes worked outside. With a lifestyle like mine, it doesn’t matter where I work. I only need to get the job done. A nice big desk is always a bonus, but tables also work fine.